Best Pogo Stick For Kids – Excellent Quality Construction and Made To Last. The Pogo Ace Pogo Stick will keep your kids active and burning numerous energy, and all whilst they are having an awesome amount of fun. pogo stick for boys and girls is a tried and tested device used by kids all over the world for decades. Get your kids off the computer and jumping on a pogo ace pogo stick. Please all the time read and follow the included safety manual all the time. The Pogo Ace Pogo Stock for kids must only be used on flat, solid surface to avoid the risk of falling. Please all the time use a helmet (not included) for safety reasons. Overall this Pogo Ace model is perfect for users up to 90lbs (36kgs) mainly younger children 5-12 years old and is impressive both in its build quality and usage durability. 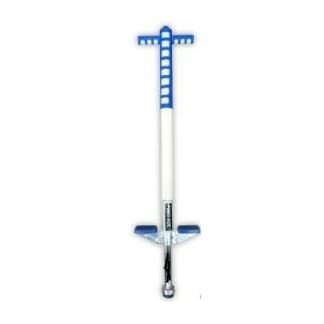 pogo stick model for older kids or adults, take a look at the “Pogo King Pogo” model also sold on Amazon. It is a ThinkGizmos branded product. ThinkGizmos ® is a registered trademark in the USA. Awesome way for kids to make stronger balance and concentration, have fun and get fit, enjoy the outside and make stronger their confidence.